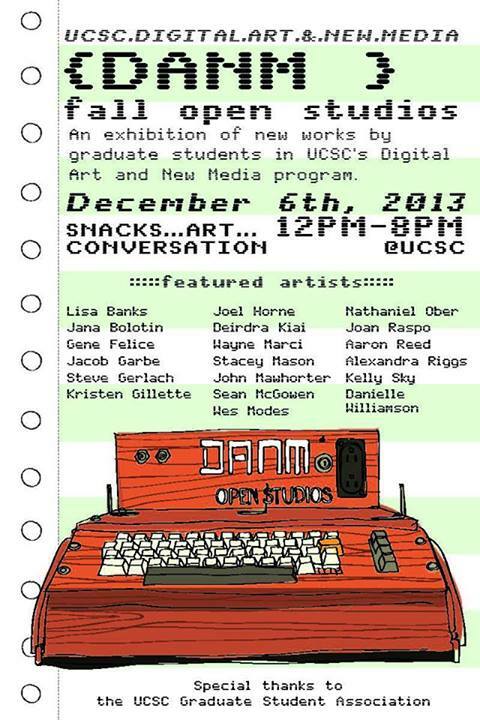 An exhibition of new works by graduate students in UCSC's Digital Art and New Media program. We welcome you to an afternoon and evening of innovative art, conversation, and refreshments. Fall Open Studios is an event in which graduates exhibit new works at the intersection of art and technology. Special thanks to the UCSC Graduate Student Association for support. Documentation photos by Gene Felice can be seen in this Facebook Album.